Atlanta neurosurgeon and chief medical correspondent for CNN. 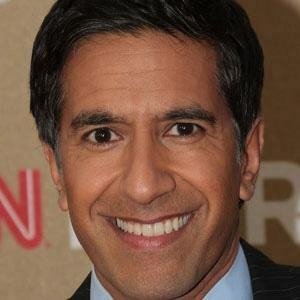 He has won multiple Emmy Awards for appearing on the program Sanjay Gupta, M.D. In college, he was involved in Glee Club, the Indian American Students Association, and freshman orientation. As the assistant Professor of Neurosurgery at Emory, he wrote two New York Time's bestsellers. He married Rebecca Olson in 2004 and he has three daughters named Sage, Sky and Soleil. He had made several appearances on Larry King Live.